May 15 th is National Peace Officers Memorial Day and marks the week for National Police Week. The month of May brings appreciation of our Law Enforcement Officers and the sacrifices they suffer in order to protect and serve us as citizens and various memorials are held around the State and Nation. 1). The Real Impact of Trauma for Survivors – As a former law-enforcement officer turned therapist, I brim with pride at the opportunity to honor those who serve – as well as to remember those officers and families who’ve paid the ultimate sacrifice for our safety and protection. It’s important to be aware of the devastating effect of trauma for surviving officers as well as the many others who have experienced a devastating loss or tragedy. Not only do we fail to recognize the full impact critical incidents can inflict on our psyche, many times individuals themselves don’t recognize the negative implications of these incidents, which results in their failure to exercise sound self-care practices. Often, we fail to recognize the full impact grief and trauma has on our psyche and the push to move forward (whether from ourselves or others) and just deal with the day-to- day tasks at hand. 2). Lack of Adequate Time to Deal with Grief & Trauma – When an officer loses a colleague, the world doesn’t “take a break” from its need for police protection and service. Officers must return to duty for their next shift, working as if their loss isn’t as devastating as it actually is. Of course, there are sometimes provisions for a shift or two off – but even that amount of time is simply not adequate to unravel the feelings of grief, anger, survivor guilt, and hypervigilance which often result from fatal police incidents. It’s important for all survivors including officers, their friends, family and colleagues to monitor and assess one another’s well-being assertively in the days, weeks, and months following a tragic loss. 3). Need for Support – Likewise, critical police incidents with non-fatal shootings, serious assaults, car crashes, etc., can impact an officer’s ability to function in a safe an effective manner – both physically and emotionally. For many of us who have experienced loss or traumatic events such injuries and/or the fear/potential for loss of life can bring feelings of isolation, depression symptoms, post-traumatic stress, grueling physical therapy, financial difficulties, relational problems, and many other detrimental results. 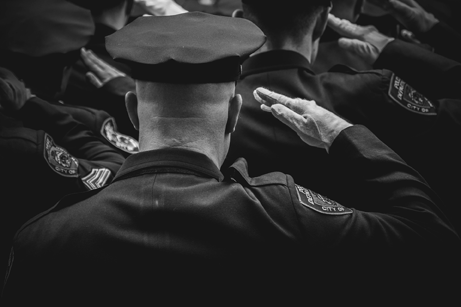 Officers do have a support system within the brotherhood of blue family – but most officers aren’t trained to assist one another in processing traumatic symptomology effectively. 4). Stigma of Asking for Help – The negative stigma often associated with therapy is an outdated and represents many false ideas. In fact, it shows wisdom, strength, and courage to recognize the need for professional help processing such tragic and impactful events. Our officers, military, firefighters, and medical professionals experience some of the most traumatic and grueling tragedies as a risk of their workday. It’s beyond reasonable to expect grief, trauma, confusion, guilt, and a myriad of other emotions to follow such occurrences – but why does society seem to expect professionals to somehow ignore and suppress these emotions? It’s a good question, and only awareness can change the need for it and its answer. 5). Self-Care is Imperative – I observed several of my fellow Fort Worth Police officers both injured and fatally wounded in the line of duty. I was present when one of my law- enforcement colleagues was hit and killed by a drunk driver. I remember the devastation of the entire FWPD and community after that awful loss. It wasn’t easy to keep going with the job at hand while working to overcome grief, anger, and other tough emotions. Counseling is recommended after such a loss. Therapists can help clients identify stressors such as unpleasant emotions, symptoms, and triggers. Additionally, they can help with the complex task of processing such emotions, alleviating those symptoms, and avoiding any triggers. Officers know if their duty weapon isn’t properly maintained, it won’t work properly. If the police cruiser isn’t properly maintained, it won’t get far. Likewise, common sense implies if the body and mind aren’t properly maintained – it may very well let us down in critical situations. To avoid such a break-down, self-care is imperative. This includes healthy eating habits, regular exercise, spiritual assurance, and leisure time/relaxation in proper balance. Those factors, along with the skills, tools and techniques for coping with mental health stressors can ensure a much more rewarding career and personal life. Those who make the choice to step-up and give so much of themselves for the rest of us deserve nothing but the best! As a result of my heart for police, I recently wrote a devotional for law-enforcement as a resource to encourage and uplift them in today’s rough social climate. My book, called, Surviving the Call: Spiritual Encouragement for Law Enforcement Officers – A 31 Day Devotional, is available on Amazon.com and other retailers. There are also copies available in the office at Lake Worth Counseling. If you have a special officer in your life, share this message with them, and perhaps grab a copy of this devotional to show your appreciation to them during Police Week this year!